For many, breakfast is the most important meal of the day and the cornerstone for those new year’s resolutions. BeginningTuesday, January 9, high-protein breakfast-on-the-go arrives at Starbucks Canada with the debut of Sous Vide Egg Bites. Perfectly cooked, cage-free eggs are prepared using the French "sous vide" technique resulting in a creamy, velvety texture that's bursting with flavour. 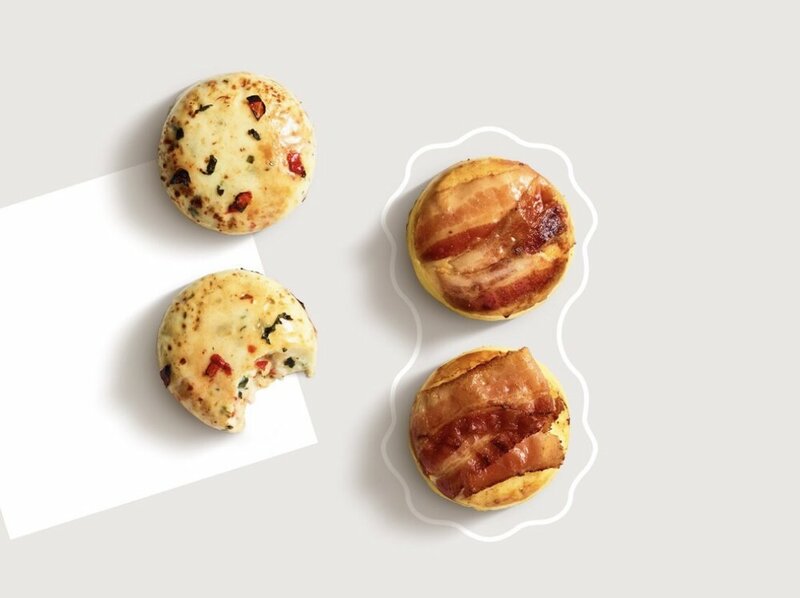 Starbucks Canada Sous Vide Egg Bites are prepared with simple, premium ingredients, are wheat-free and available in two varieties. And like everything on our menu, Sous Vide Egg Bites are available all day long! Bacon and Gruyere – (Wheat-free) – A foodie delight, even when you're on-the-go. We added aged Gruyere and Monterey Jack cheese, and topped them with Applewood smoked bacon for a delicious, high protein, convenient breakfast. Two Bacon and Gruyere bites have 310 calories and 19 grams of protein. Egg White and Roasted Red Pepper – (Wheat-free & Vegetarian) – We added creamy Monterey Jack cheese, plus spinach and fire-roasted red peppers for a high-protein vegetarian breakfast that's both delicious and convenient. Two Egg White and Roasted Red Pepper bites have 170 calories and 13 grams of protein.